I’ve recently finished making maps for both Feedback and Veminox. Here’s a rough map of Flatson, one of the two remaining nations that forged after humanity was nearly annihilated by nuclear war. I know that for many readers it helps to envision the world in a concrete manner, like what maps offer. 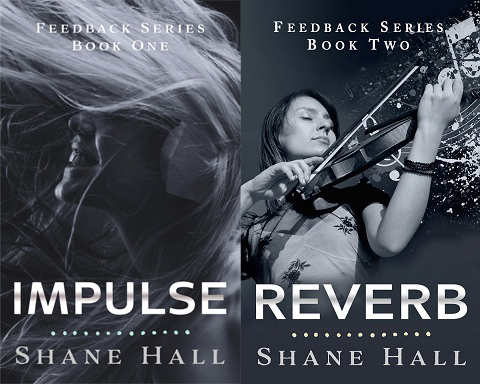 These are also included in the e-books for each episode, but they’re understandably smaller to make them fit. Season Two will come with a map of Unibar, as the louder, brother nation to Flatson plays an important role in the story’s continuation. To the best of everyone’s knowledge, all land on the rest of the continent is completely inundated with plutonium 241 and uranium 234. Plutonium 241 has a half-life of 24,100 years, and during that process it turns into uranium 234, which has a half-life of 245,500 years. Considering it has been not even 500 years (492) since nuclear annihilation, the culture of Flatson has no interest in expanding the amount of safe land available. It is so difficult that a continued approach at making parts of the ocean safe is more appealing. However, considering the amount of radiation in the rest of the world, the depletion power of the swamplands that Flatson was based on is nothing short of a miracle. The real hope for the world may be an attempt to replicate the nations’s wetlands. The far waters are called the Northern Sea because, while I won’t pin it down yet, Flatson and Unibar are both set on the northern hemisphere of Earth. The Silver Sea is what has allowed Flason’s people to eat seafood once again, after hundreds of years. A sectioned-off area of the ocean gets filtered in through the land, shaped into seafood farms that can manage radiation levels and other dangerous substances. Only a small portion of raised seafood was safe enough to eat until around the start of the story, where high-production spawning and breeding of the safe specimens was perfected. 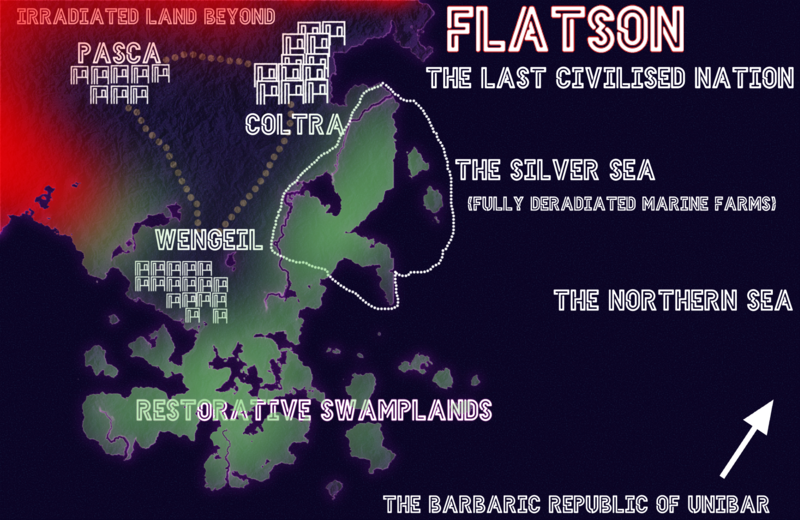 Flatson calls itself the last civilized nation. That is not necessarily the opinion of me, the author.